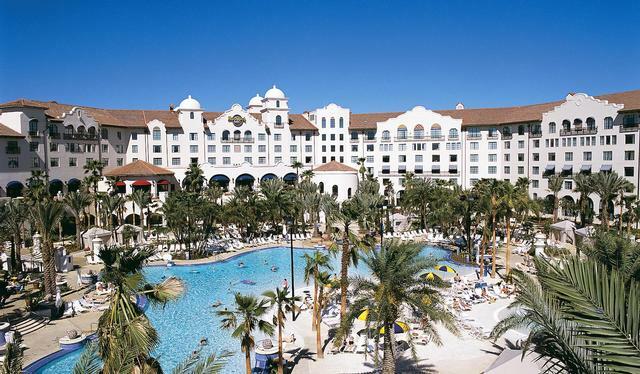 Universal's Hard Rock Hotel is a four-star deluxe hotel at Universal Orlando. Featuring rock n' roll memorabilia throughout, the Hard Rock Hotel offers 650 guest rooms, and five bars and restaurants, but not a Hard Rock Cafe — that's down the street at CityWalk. It also features a underwater sound system in one of the largest pools in Orlando.